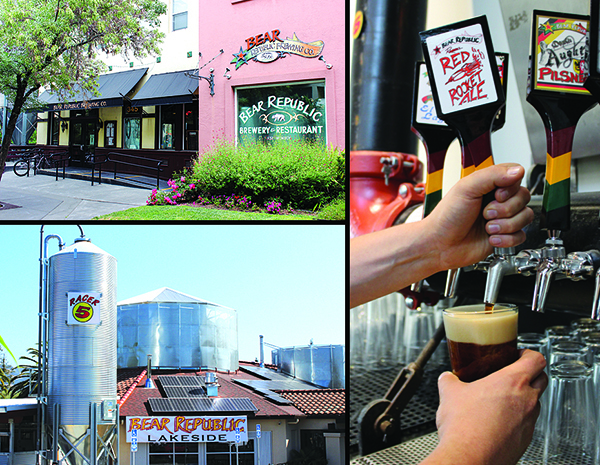 Located in Wine Country’s Sonoma County, Bear Republic Brewing Company offers award-winning food and world class, handcrafted ales. Established in 1995 by third and fourth generation Sonoma County residents, the Norgrove family invites you to come and discover their diverse menu, family friendly atmosphere, and more than 20 freshly brewed beers on tap. A relaxed, casual dining experience is what you should expect on your visit. Join us in daily in downtown Healdsburg or lakeside in Rohnert Park.